New in New jacket. Lang: -eng, Pages 38. It is the reprint edition of the original edition which was published long back (2004). The book is printed in black on high quality paper with Matt Laminated colored dust cover. We found this book important for the readers who want to know more about our old treasure so we brought it back to the shelves. We tried to manage the best possible copy but in some cases, there may be some pages which are blur or missing or with black spots. We expect that you will understand our compulsion in these books. Print on Demand. New in New jacket. Lang: -eng, Pages 38. Leather Binding on Spine and Corners with Golden Screen Printing on round Spine Marble Paper in front, look like old binding (extra customization on request like complete leather, Golden Screen printing in Front, Color Leather, Colored book etc. ) Reprinted in 2018 with the help of original edition published long back . This book is printed in black & white, sewing binding for longer life, Printed on high quality Paper, re-sized as per Current standards, professionally processed without changing its contents. As these are old books, we processed each page manually and make them readable but in some cases some pages which are blur or missing or black spots. If it is multi volume set, then it is only single volume. We expect that you will understand our compulsion in these books. We found this book important for the readers who want to know more about our old treasure so we brought it back to the shelves. Hope you will like it and give your comments and suggestions. Print on Demand. New in New jacket. Lang: -English, Pages 585. It is the reprint edition of the original edition which was published long back (). The book is printed in black on high quality paper with Matt Laminated colored dust cover. We found this book important for the readers who want to know more about our old treasure so we brought it back to the shelves. We tried to manage the best possible copy but in some cases, there may be some pages which are blur or missing or with black spots. We expect that you will understand our compulsion in these books. Print on Demand. New in New jacket. Lang: -English, Pages 585. Leather Binding on Spine and Corners with Golden Screen Printing on round Spine Marble Paper in front, look like old binding (extra customization on request like complete leather, Golden Screen printing in Front, Color Leather, Colored book etc. ) Reprinted in 2015 with the help of original edition published long back . This book is printed in black & white, sewing binding for longer life, Printed on high quality Paper, re-sized as per Current standards, professionally processed without changing its contents. As these are old books, we processed each page manually and make them readable but in some cases some pages which are blur or missing or black spots. If it is multi volume set, then it is only single volume. We expect that you will understand our compulsion in these books. We found this book important for the readers who want to know more about our old treasure so we brought it back to the shelves. Hope you will like it and give your comments and suggestions. Print on Demand. by Robert F Kennedy, Jr. 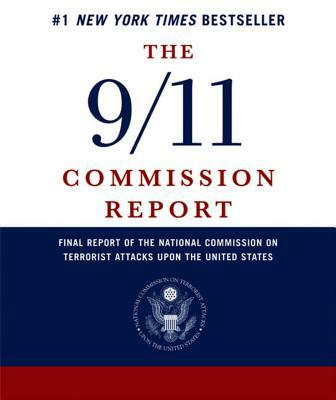 The 9-11 Commission Report is over 500 pages long. In the preface the authors say that the report was written to provide the fullest possible account of the events surrounding 9-11. However the collapse of Building 7 wasn't even mentioned in the report. Building 7 was a 47-story skyscraper which was not hit by a plane. It fell straight down symmetrically into its own footprint at virtually freefall speed. And they completely ignored it!